Irongrowth line. Nutritional supplementsspecially designed to cover all the needs of mothers and children, from pregnancy (Irongest) to breastfeeding (Ironlact) and child growth (Ironchild). All these multivitaminic products contain also high amount of DHA and a patented microencapsulated iron, which reduces gastrointestinal side effects, enhances the tolerance of the product and also avoids oxidation of the other ingredients. Nutritional supplements indicated to meet the needs of the woman and her child during pregnancy. Presentation in soft gelatine capsules. 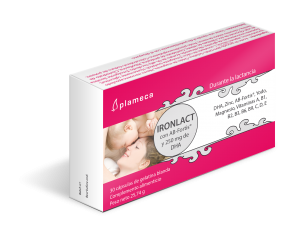 Nutritional supplements indicated to meet the needs of the woman and her child during lactation. 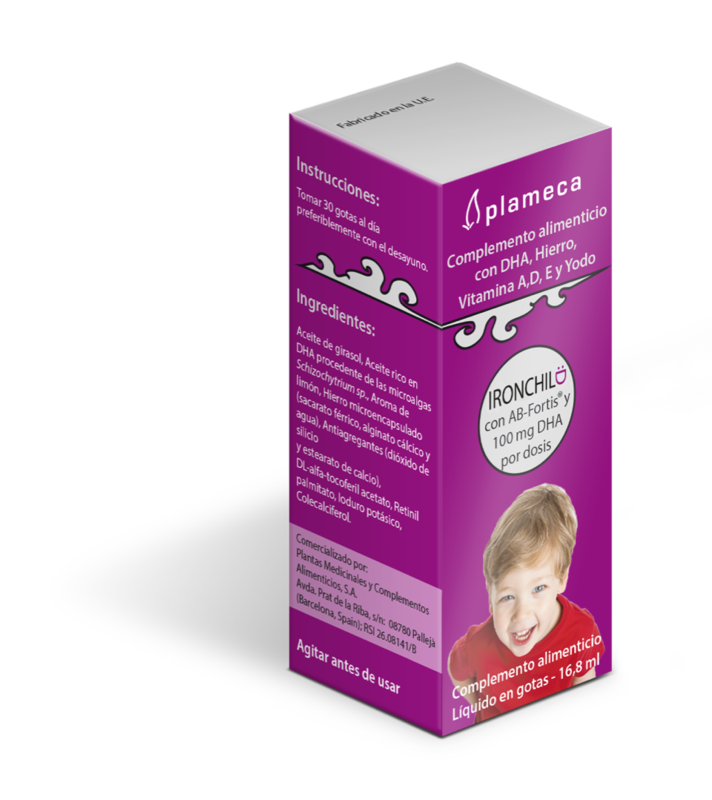 Nutritional supplements that contribute to the normal growth and cognitive development of children. Presentation in drops. Oily suspension. development of the brain tissue and its normal function. It also helps to maintain healthy vision. The innovative and patented AB-FORTIS® technology for the microencapsulation of iron reduces gastrointestinal side effects (nauseas, vomits, heartburn, diarrhea…) since the iron is not released from the micro-capsule until it reaches the intestine. Enhances the tolerance of the final product and provides an effective taste masking to eliminate its metallic taste. The micro-encapsulation also reduces oxidation of the other compounds thus prolonging the self-life of the product.